With a love for the beach life and an eye for the elegant Ibiza style, Claire Wilkinson has created Aquamarine Ibiza, a luxury beachwear brand for every woman on holiday who wants to look and feel feminine, but at the same time comfortable and glamorous. 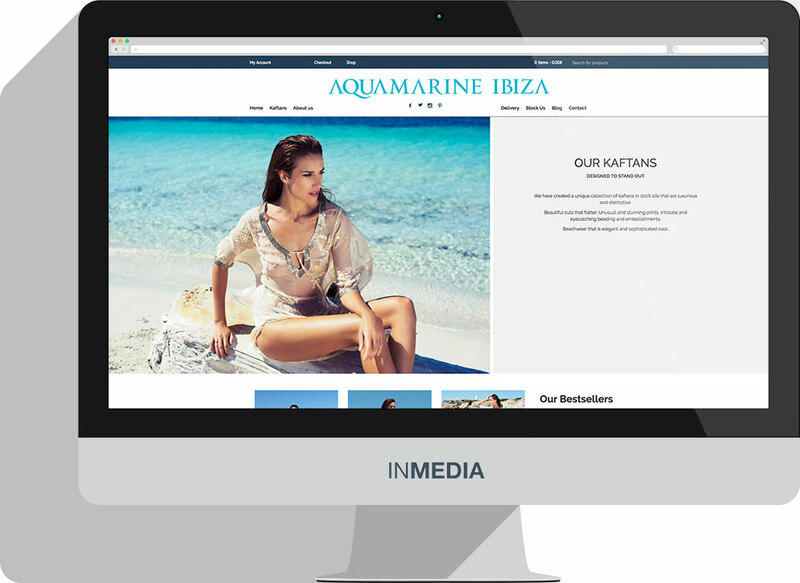 She came to us with a vision: Aquamarine Ibiza is a brand inspired by the relaxed and chic lifestyle of the beautiful island of Ibiza and our task was to develop an online store that reflects this connection, as well as merging style and e-commerce. The whole website has a sophisticate look and feel, to reflect visually the identity of the brand. 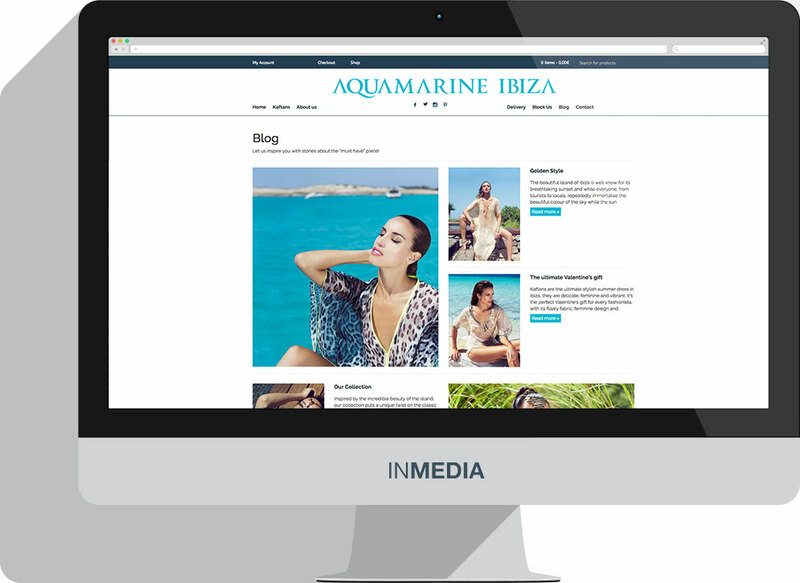 The homepage inspires visitors with big pictures and a “Behind the scenes” video – to bring alive the strong connection between the brand and the elegant beach lifestyle of the Island. But we have not forgotten to include important information – the presentation of the 2016 S/S collection, a carousel of the products and a LookBook. In the header we have featured the main sections: About Us, Products, Delivery Information, Contact details and naturally, the blog and social medias are featured in the header, too. To ensure that a beautiful branding and unique products actually translate into sale we built a complete store with all the features we consider essential for an excellent customer experience: easy navigation between pages, product pages complete with product information (image zoom, sized guide & reviews) and a stylish checkout that is also user-friendly. We are very proud to present this website which fuses together sales objective with stylish look. Thanks for working with us!